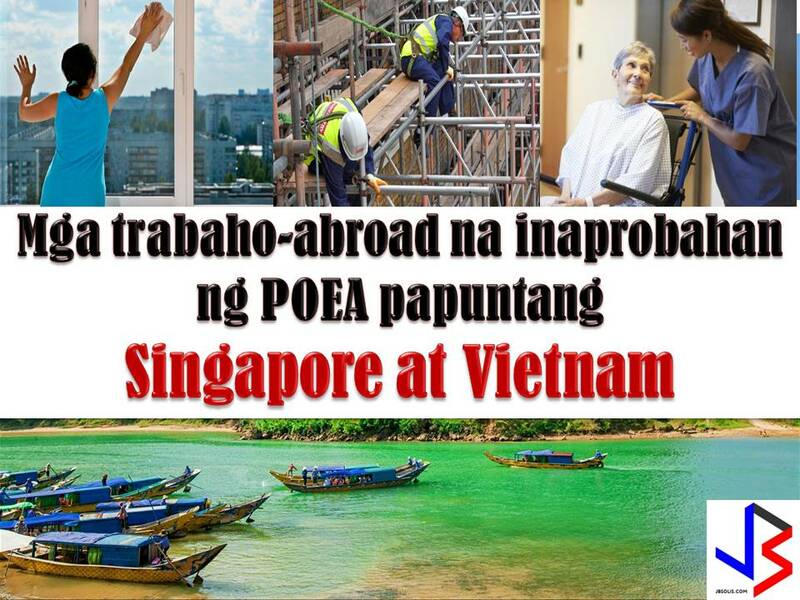 Two other places in Southeast Asia where Filipinos can live and work. 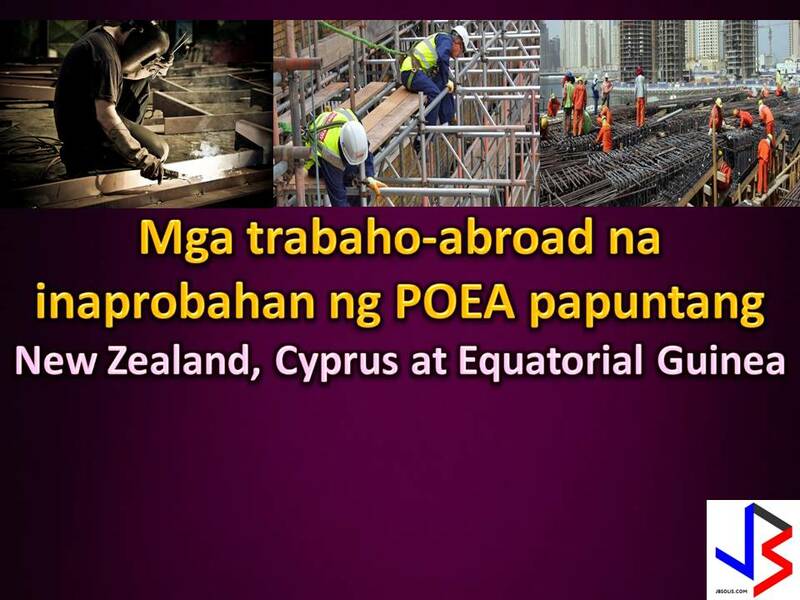 Malaysia and Hong Kong are looking for Filipino workers as their workforce in different fields. 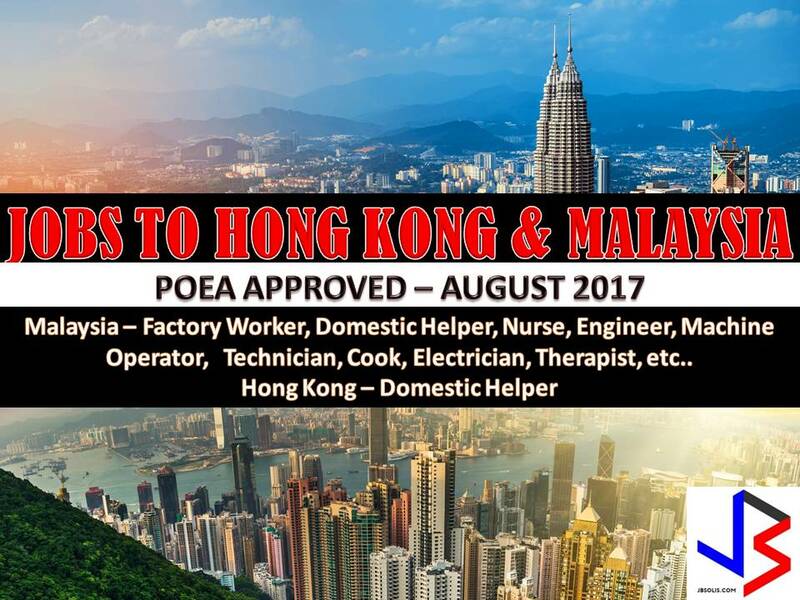 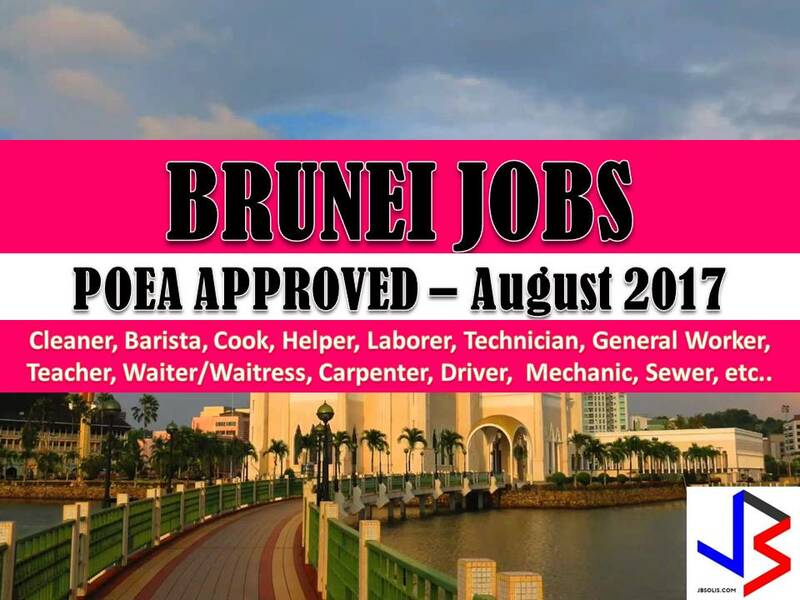 Hong Kong is mainly looking for household service workers or domestic workers while diverse work is open for Filipinos in Malaysia since they are looking for engineers, nurses, household workers, operators, technicians, and many others. 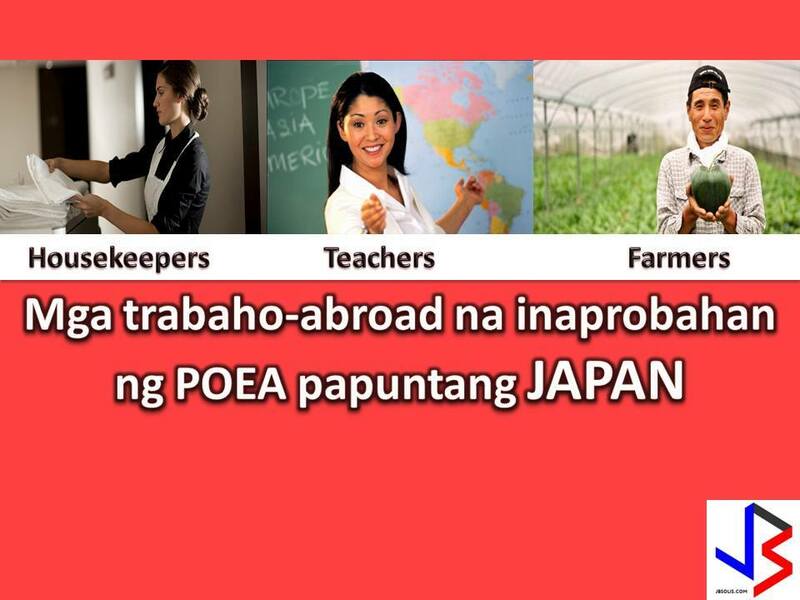 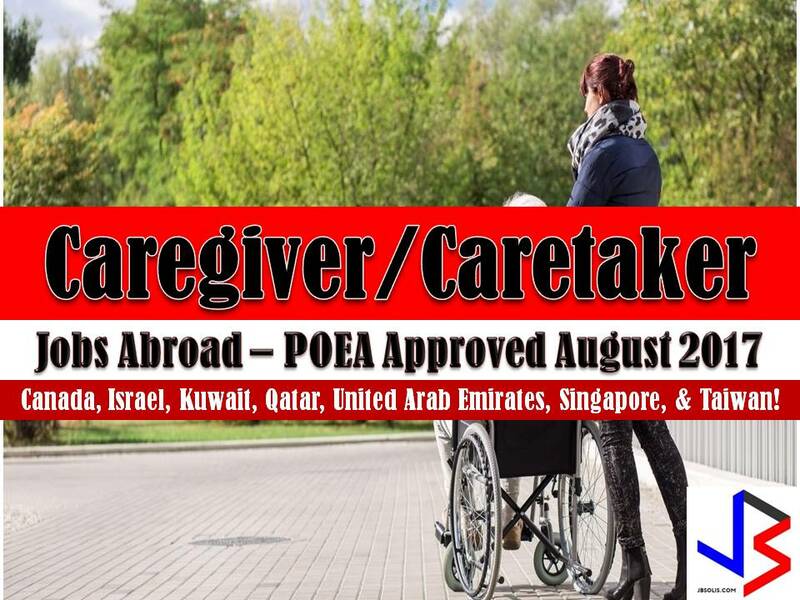 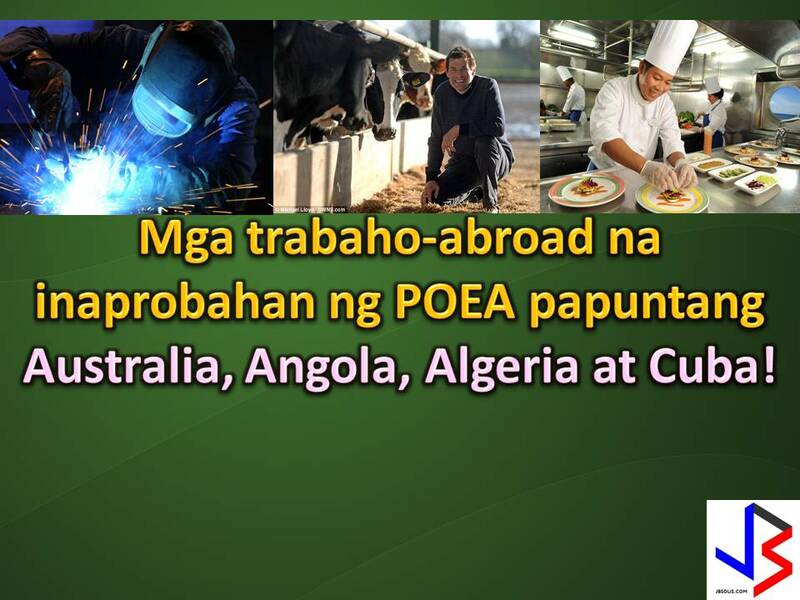 The following job vacancies are taken from the website of Philippine Overseas Employment Administration (POEA) to make job searching easier for people who want to work abroad.